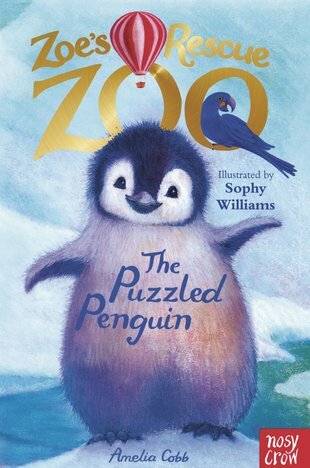 This story is about a puzzled Penguin who moves to the Rescue Zoo and a girl called Zoe who can talk to animals and understand them. Zoe’s Great Uncle found Pip in the Antarctica and bought him back to the Rescue Zoo because he was all on his own. When Pip arrived at the Rescue Zoo he did not know that he was a Penguin. My favourite part was when Zoe went swimming with the penguins. My favourite character was Pip because he peeps and I think it’s funny. I felt sad for Pip as he must of felt scared and lonely but luckily he had Zoe as a friend to talk to. I liked the whole book. I think this book is for boys and girls aged 5+.